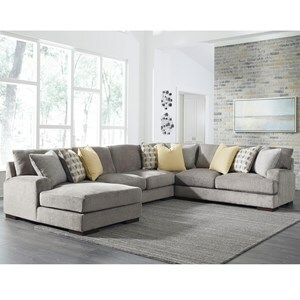 This three piece sectional's effortless style is created by details such as its nailhead trim accents and low track arms. Additionally, firm cushions and a clean line design add a contemporary feel to this piece. 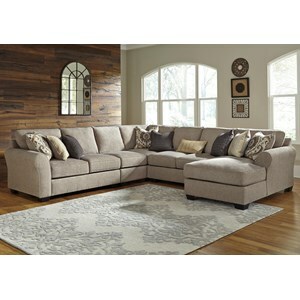 Able to comfortably seat four people, this sectional sofa is a great addition to your living room. 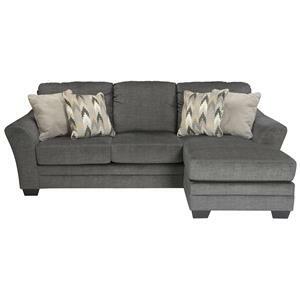 The Hallenberg Three Piece Sectional with Nailhead Trim Accents by Signature Design by Ashley at Beck's Furniture in the Sacramento, Rancho Cordova, Roseville, California area. Product availability may vary. Contact us for the most current availability on this product. 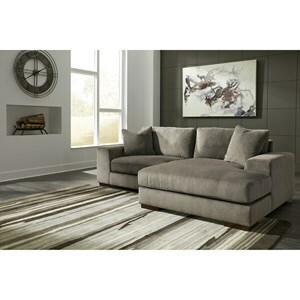 4150146 Armless Chair 1 24" 39" 38"
This collection's sophisticated design brings effortless style to your living room. 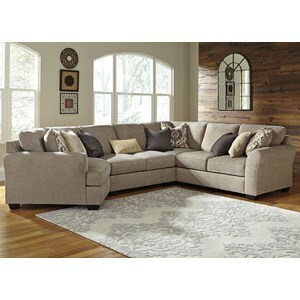 The pieces all feature firm cushions and exposed feet in a faux wood finish. 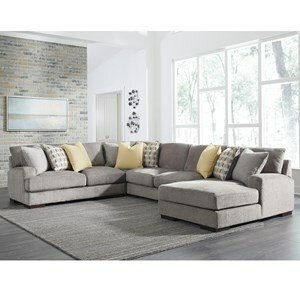 As a modular sectional collection, you can build a piece to perfectly fit the layout of your home. 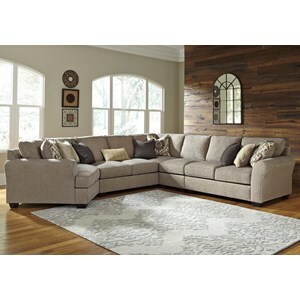 The Hallenberg collection is a great option if you are looking for Contemporary Casual furniture in the Sacramento, Rancho Cordova, Roseville, California area. 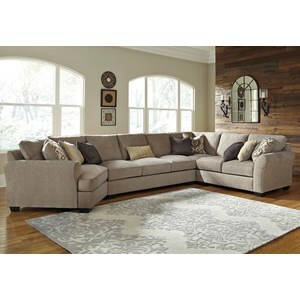 Browse other items in the Hallenberg collection from Beck's Furniture in the Sacramento, Rancho Cordova, Roseville, California area.